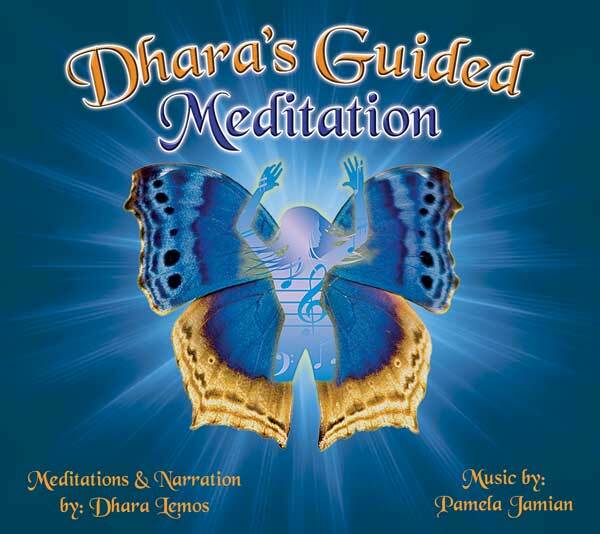 I’m happy to announce that my first Guided Meditation is available now. I’ve been teaching and giving classes on active meditation for more than 20 years. 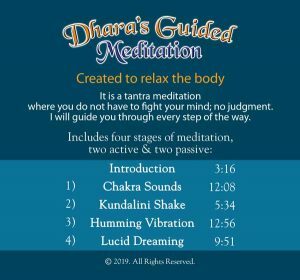 Now, for the first time and together with my friend Pam Jamian, we’ve created a guided version of my Active Meditation, making it easier to do yourself. This guided version features my narration along with accompanying music for each step in the Active Meditation. 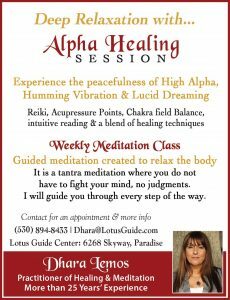 My husband, Rahasya, and I are opening the Lotus Guide Center for Healing & Information in Paradise, where I’m going to be giving the guided meditation every week. This meditation will be open to anybody who wants to join me. It is important, especially in this moment when we need so much healing, to build a strong energy field of togetherness in an atmosphere where we feel safe once again. It’s been my experience that when I meditate in a group, it becomes much more powerful than when I am alone. 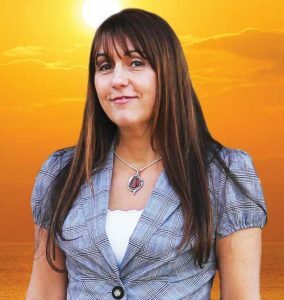 I had a strong experience in the ashram with a large group of people doing meditation. Upon my entering, the air was noticeably lighter. Some refer to this phenomenon as a Buddha Field, which makes it much easier to enter the meditative state. Even on a smaller scale, such as in my home, I can see that meditation has a positive influence on those around me. I believe that this is true; if a group or a community is doing a shared meditation, it can totally affect the consciousness not only of those in the group but those in their immediate circle, because we are all interconnected through this conscious field. Some people have asked me, “How does dancing or movement play a part in meditation?” When we meditate, we become aware of our connectedness with something greater than ourselves. Dance and music were some of the first meditation forms used by earlier civilizations as a spiritual practice. Even now there are many spiritual or religious practices that still use dance and/or music as a form of meditation to tap into practitioners’ higher consciousness. From whirling dervish to Native American ceremony, and from the dance of David to the dance of Shiva, spirit unites motion with form to bring us an experiential fusion with the divine. More recently, in the somatic and bioenergetics sciences we are seeing that we hold trauma in our bodies as suppressed energy. Of course as children we knew what to do when we were frustrated by life; we jumped up and down and threw a temper tantrum. But the power figures in our lives, our parents and teachers, told us to go to our rooms and be quiet, sit still, calm down … and we did, but at a cost. And especially with a disaster such the Paradise/Magalia Fire, we are so traumatized that we need some form of stress release so all that energy doesn’t get embodied within us and eventually become “dis-ease.” For instance, right now, sit back and become aware of your body; you will feel that somewhere there is tension that you weren’t aware of before. This tension eventually becomes chronic if we don’t shake it off somehow and let it go. This is when active meditation, in combination with Rolfing, acupuncture, Reiki, and a long list of therapeutic work that releases and balances our energies, can help to release the energy that is blocked. So again I would like to invite you to come to the Lotus Guide Center in Paradise and together we can create a space of healing, love, and good vibration. Let’s celebrate and go with the flow! Email me at Dhara@usa.com and I will let you know.